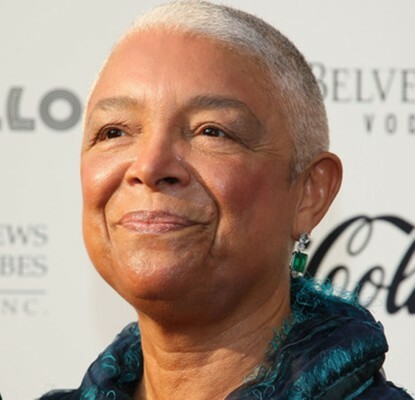 *Mum was truly the word for Camille Cosby, as she remained silent and brief during her recent deposition in a libel lawsuit involving her husband, Bill Cosby. Referencing a report from the New York Daily News, BET detailed a15-page excerpt of the deposition released by Cosby’s lawyers, which revealed that Camille appeared defensive and mum the majority of the time for the deposition as she refused to testify against her husband. Camille’s deposition is the latest chapter in the ongoing legal battle between Bill Cosby and Andrea Constand. Constand, a former Temple University employee, accused the TV icon of drugging and sexually assaulting her at his Philadelphia mansion in 2004. At the heart of Camille’s deposition is a series of exchanges between her and Constand’s lawyer, Joseph Cammarata, in a Springfield, Massachusetts hotel on February 22. While going back and forth over her knowledge of the Constand case, Camille claimed she never even read the civil complaint Constand filed against her husband. In addition, Camille stated that the only information she learned regarding the case came directly from Bill Cosby and an attorney. “I don’t remember,” Camille repeatedly responded when asked of what she knew of the case. As the deposition went on, Camille said that she was well aware her husband was deposed 10 years ago. Nevertheless, she ended up refusing to provide specific details on whether or not she and Bill Cosby privately discussed the testimony. “I don’t want to answer that,” Camille said, when asked if they ever discussed it. From there, Cammarata asked the same question about any type of discussion about Bill Cosby’s deposition twice. The result of that strategy proved fruitless as Camille gave the same response repeatedly. As a result, Camille said, “Yes,” before adding that she couldn’t remember when the conversation took place. During Camille’s deposition, attorneys for Bill Cosby spent time trying to convince a judge that the civil suit against their client should be paused pending his felony prosecution in Pennsylvania.